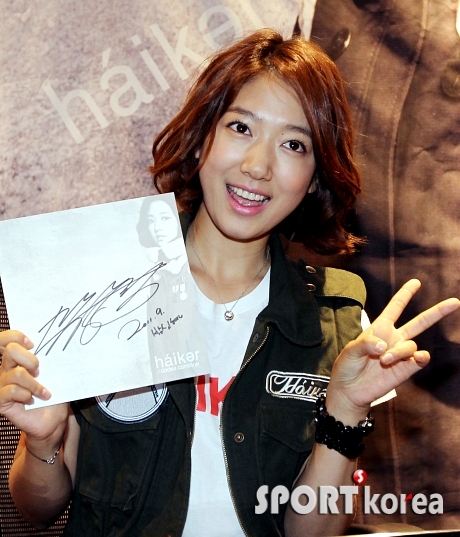 Park Shin Hye's first fan-signing session of the season was a success. 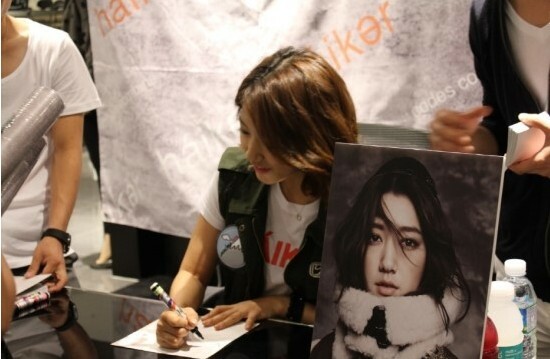 Celebrating its new flagship store opening, Korean clothing label Codes Combine Haiker held a fan-signing event with Fall/Winter endorser Park Shin Hye yesterday at the new store located in D-Cube City mall, Shindorim-dong, Seoul. The event started at 3pm local time. 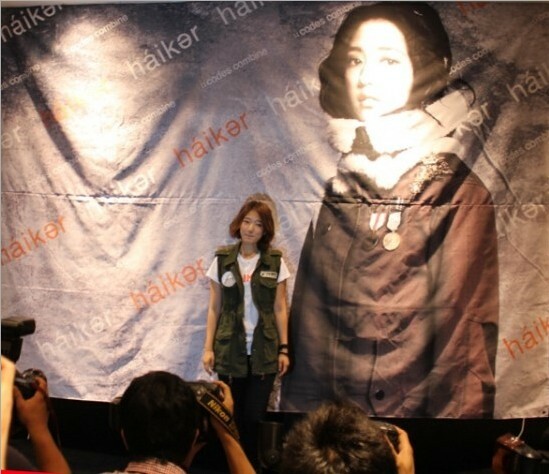 Although only 100 lucky fans were granted tickets to the event, hundreds of fans waited at the venue to catch a glimpse of the beautiful actress. 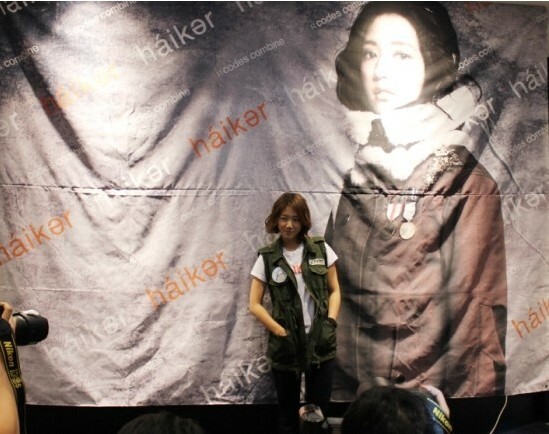 if only i were in korea, i would definitely buy haiker. 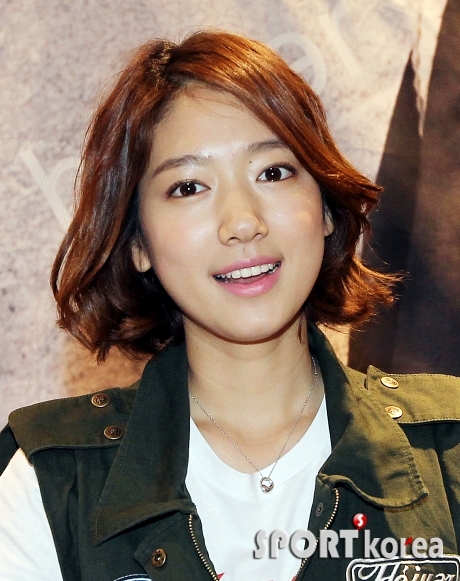 just because shinhye's endorsing it! 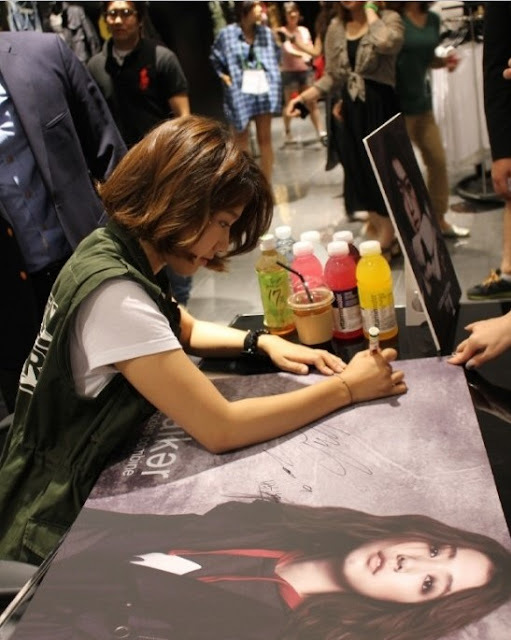 i wish i was there at the fansigning event. anyway, it seems that shinhye is still missing KW and LS, she was trying on a backpack..
she writes with her right hand, yet holds chopsticks and throws baseball with her left hand...wow! kyaa...just want to share a sweet vid from BTS You're Beautiful...i really miss The Dooley Couple..love their skinships..
She's BEAUTIFUL!! !I had a sign of her on the Minami Shineyo book but i guess meet her by person must be sooooooo cooool!